Val Head has died, and I'll be going to Cranberry Portage to pay my respects on Monday. Val took care of Grandma for many decades - longer than I've been alive. 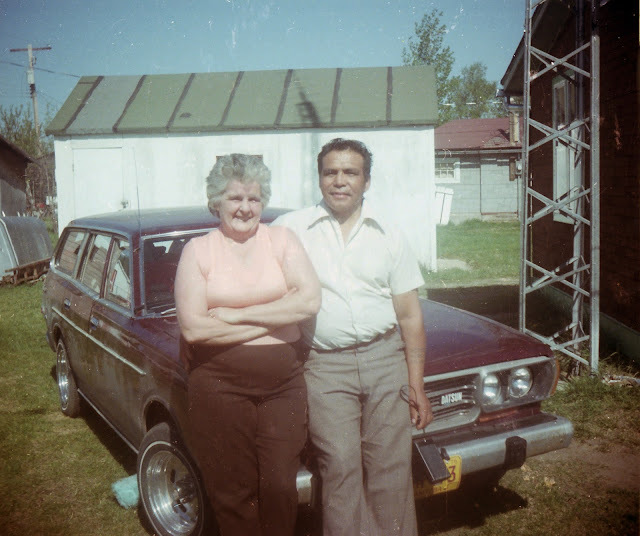 Val took us boating and fishing on the gorgeous lakes of northern Manitoba, taught me how to perform a moose call and in many ways acted as a surrogate grandfather, since unfortunately Dad's father died before my brother and I could meet him. Val always impressed me with his toughness, and frankly I'm shocked and saddened that he passed only a few months after Grandma. But I'm grateful that they shared many happy years together, and I'm sorry he's gone.